Members Rides and Rhino Of The Month Contest! Post pictures, and a description of your Rhino here. Rhino Of The Month Contests are also held here! have any of you guys done that box canyon / coke ovens run? I have interest in finding some good trails. I live south of Tucson, so a lot of them would take some planning on my part. I am in the big city of Sahuarita! I usually just ride from my house up to the Santa Rita mountains. I am working on getting a trailer set up so i can try some trails that are further away. We did Box Canyon last Nov, stayed at Desert Cypress RV park. We were really restricted on riding as we weren't street legal. Going back next month and hope to get the rhinos street legal. 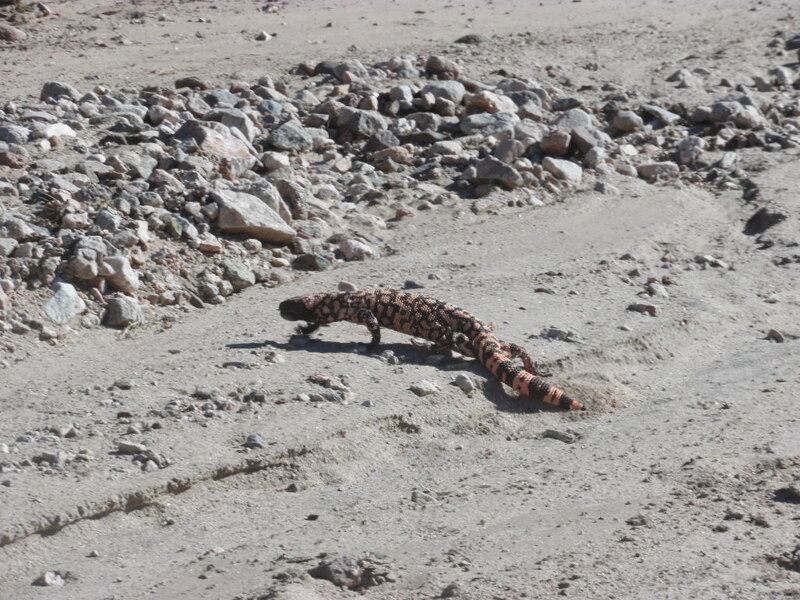 The Gila Monster is one of the only venomous lizards, and if memory serves me the largest native lizard in the United States. They are not uncommon, but i don't see them too often. Going Street Legal in AZ is pretty straight forward. I have never had an issue. Last edited by Brian Lee Rhino450; 02-15-2019 at 07:09 PM. We talked to a guy out on the trail and he's never seen one in 35 years of hunting and riding trails. 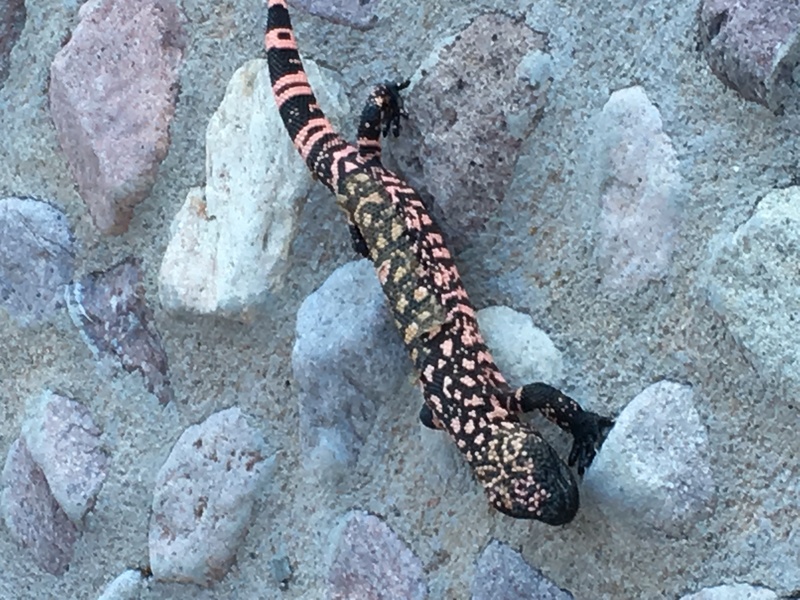 We just happened to catch him crossing the Blue Tank Wash.
I’ve had 3 of those cool guys visit our house in about 20 years. 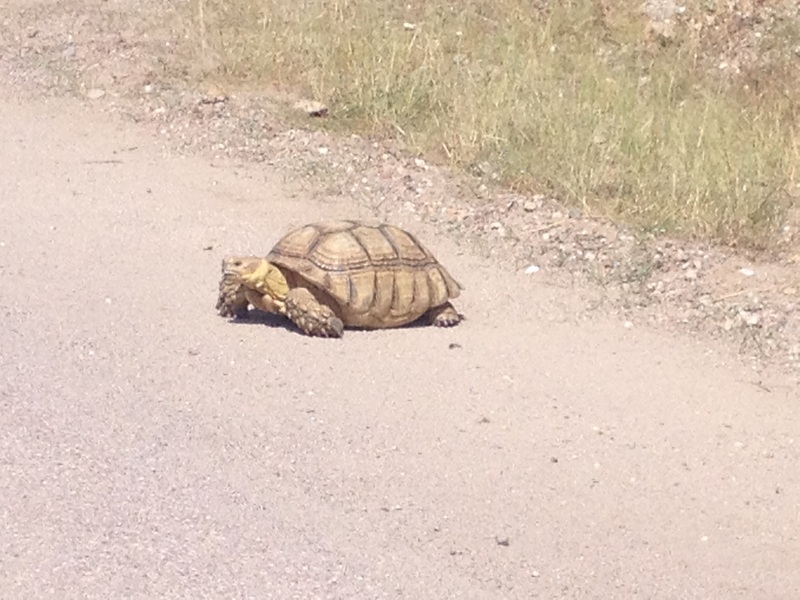 Also encountered a big desert tortoise moseying across the road one day. Yamaha Rhino Forum - Rhino Forums.net > Members > Members Rides and Rhino Of The Month Contest!